Sara D. Davis/Getty ImagesMike Pence. 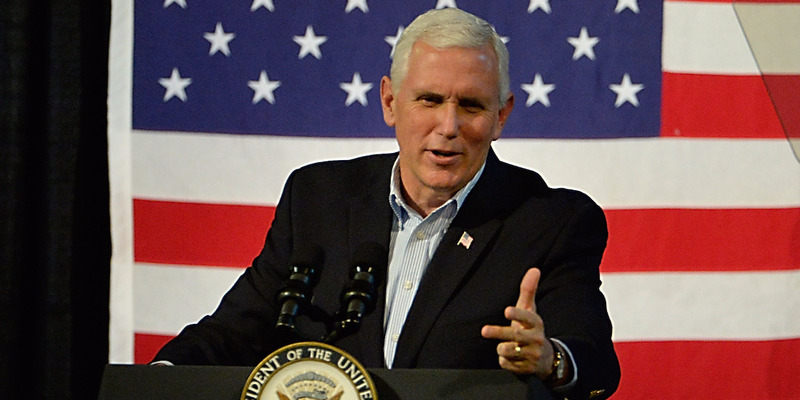 Vice President Mike Pence was in a fraternity at Hanover College in Indiana. He once infuriated fellow fraternity brothers when he led an inquiring college administrator to where they were hiding kegs in their house. The story was a part of a large Atlantic profile on Pence. A college friend of Vice President Mike Pence told The Atlantic that Pence once infuriated his fraternity brothers when he showed a top college administrator where they were hiding kegs in their house. Dan Murphy, Pence’s fraternity brother at Hanover College’s chapter of Phi Gamma Delta, told the publication as a part of a lengthy profile on Pence of the time he revealed the kegs to top university brass. Hanover College, a small school in Indiana, had a no-alcohol policy. Pence was friendly with with everyone and was elected president of the fraternity when he was a sophomore. That same year, their fraternity house was “perpetually” on probation, as The Atlantic’s McKay Coppins wrote. Fraternity brothers were trying to re-create scenes from “Animal House,” which had just come out that year. When such incidents happened previously, one of the fraternity brothers would typically take the fall and claim that all of the booze was his, which would prevent the fraternity as a whole from facing discipline. But this time, Pence decided to take a different approach. He just led the college dean straight to the kegs. And he said they belonged to the fraternity. Phi Gamma Delta was severely punished as a result. That relationship helped Pence receive a job offer in the school’s admissions office upon graduating in 1981.